Dubai Customs has signed a service level agreement with Emirates Airlines to ensure higher standard of performance, maintain a secure environment for customers and staff and provide high quality service for the carrier and customers. 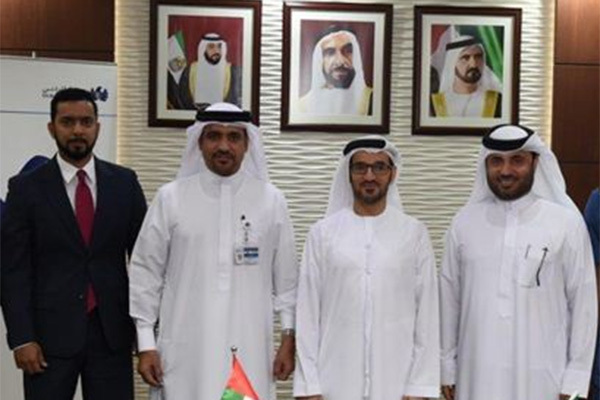 The agreement was signed on the part of Dubai Customs by Ibrahim Kamali, director of Passenger Operations Department, and on behalf of Emirates Airlines by Badr Al Shehhi, divisional vice-president, Baggage and Operations Services, in the presence of officials from both sides. Kamali said the agreement comes to reinforce the common vision and strategic partnership between Dubai Customs and Emirates Airlines. “Both parties aim to minimize obstacles, expedite procedures and deliver a high level of service to customers and passengers, streamlining their movement through Dubai’s airports while ensuring the protection of society and supporting sustainable economic and tourism development of Dubai,” he said. Al Shehhi said the move is intended to further strengthen cooperation and partnership between Dubai Customs and Emirates Airline to serve their shared goals.